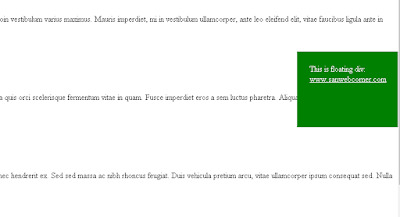 This post i will tell you how to create floating div using simple Css code. 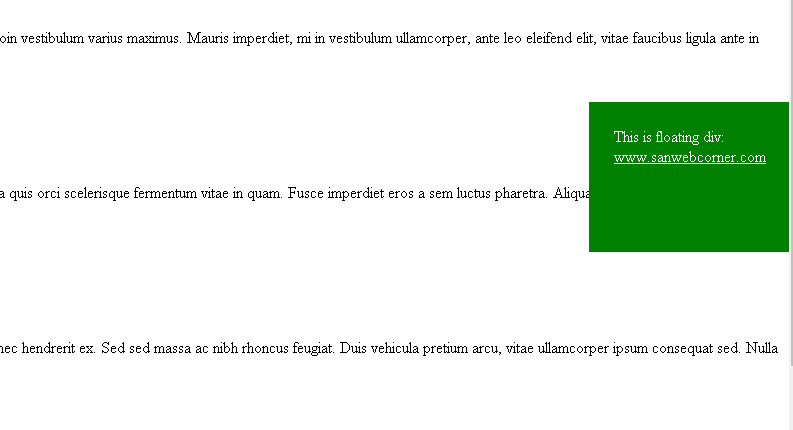 This floating div will help you to give important content in this. I written some style for the floating div you can write and design the particular div according to your best design. This may helpful to give the subscription form, to display important news, or you can provide social sharing buttons to this floating div. This is too simple just write the following code here is i will provide live demo for your reference.